Now is the time to order your copy of our limited golden cartridge edition of It’s Magic 2! It is available only until end of November and can be obtained exclusively through Patreon. Support us at Patreon now and gain access to this very rare release. 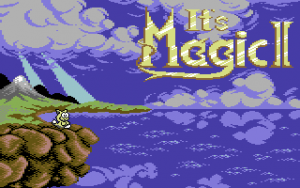 The regular (non limited) release of It’s Magic 2 on cartridge is also on its way.